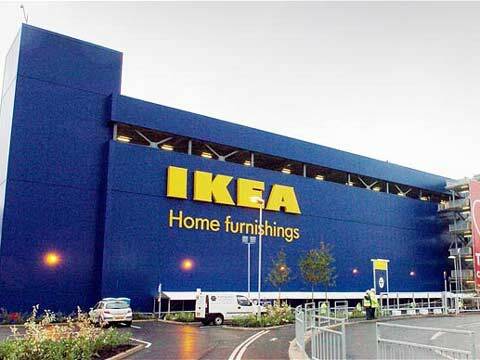 IKEA bought 23 acres site in Navi Mumbai. This one store will create over 500 equal job opportunities for men and women in Maharashtra. IKEA, the Swedish home furnishings company announced the purchase of its first land parcel in Mumbai and second one in India after Hyderabad. The 23 acres site is strategically located in Navi Mumbai on Thane Belapur Road. The IKEA store in Mumbai is planned to be around 400,000 square feet and is expected to have more than 5 million visitors per year. To be easily accessible for many people the store site has good access to public transport and next to an existing sub- urban railway station, “Turbhe”, located on the Thane Belapur road. This step is yet another confirmation of IKEA’s large expansion plans in India. The company in parallel is evaluating suitable sites in the cities of Bengaluru, Mumbai and Delhi and NCR and plans to open 25 stores in India by 2025. “We are very happy that we will soon see an IKEA store in Mumbai. IKEA will bring best business practices, many employment opportunities, infrastructure development and contribute to the growth of the retail sector in the state. We believe that IKEA will work as a catalyst in our development plans. The government is committed to provide the necessary support to IKEA for its future expansion plans in the state,” Principle Secretary Industry, Maharashtra, Apurva Chandra said. “Maharashtra is one of the most important market for IKEA. Along with setting up retail stores, we will expand our supplier landscape and grow local sourcing as much as possible. Each IKEA store will employ 500-700 coworkers directly and another 1500 indirectly, engaged in providing services. We are committed to having 50% women in our organization at all levels and giving equal opportunities to all. We will bring a unique shopping experience through our inspiring stores offering affordable home furnishing products for the many people in Mumbai,” said Juvencio Maeztu, Chief Executive Officer, IKEA India. IKEA has been sourcing from India for the last 30 years and it plans to double its sourcing volumes by 2020. Through it 50 suppliers, IKEA today employs 45,000 people directly and about 400,000 in the extended supply chain. It has recently organized three “Make More in India” campaigns, including one in Mumbai to look for new suppliers. IKEA has been sourcing from India for the 30 years for its global stores. In India, it currently has 50 suppliers with 45,000 direct employees and 400,000 people in the extended supply chain. The IKEA Group is the first major single brand retailer to get FDI approval and plans to open several stores in Delhi/NCR, Hyderabad, Karnataka and Maharashtra. The IKEA Group has 321 stores in 28 countries. In addition, there are more than 40 stores run by franchisees outside the IKEA Group. The IKEA Group had 716 million visitors during FY14 and 1.6 billion people visited its website. How can retail organizations scale their supply chain initiatives?